Left: I made small, but tall newspaper pots, so I can plant them directly into veggie bed once sprouted. I planted Daikon ‘Mino Early’ in these. Right: I used Jiffy Peat Pellets with the outside netting removed. 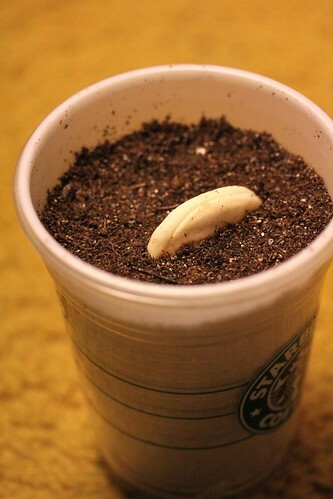 I placed them on top of about an inch layer of soil, so the roots can grow deeper. I planted Daikon ‘Sweet Glade’ in these. 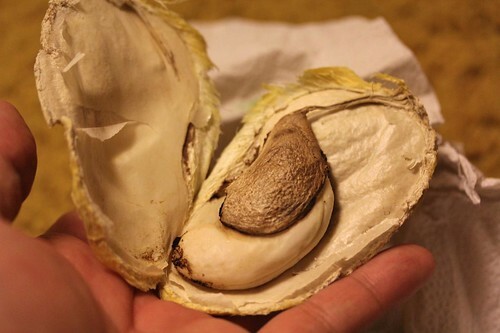 I saved another Mango seed from a Mango we bought and ate… and will try growing it. 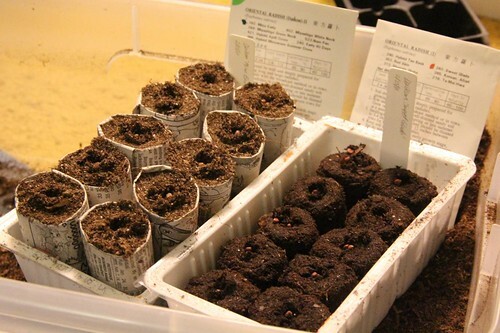 This entry was posted in Gardening and tagged alyssum deep rose, daikon, daikon mino, jiffy, mango, mango 0211, newspaper, newspaper pots, sow, sprout. Bookmark the permalink.